How do I subscribe to a Drip? What payment methods can I use to subscribe to a drip? Why am I getting an error message when I try to subscribe? If I subscribe, what information does the project creator receive? How do ad-hoc (per-post) subscriptions work? How do monthly subscriptions work? How do I add a new card to my Drip account? Can I subscribe with PayPal? What currency will my subscription be collected in? When you subscribe to a Drip, the creators will see your profile name, which subscription tier you subscribed to, and your subscription start date. 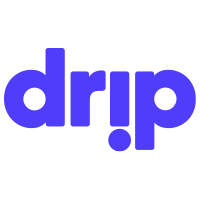 We’ll also provide the creator with the email address linked to your Drip account, in case they need to contact you about your subscription. Can I use copyrighted material as part of my Drip?